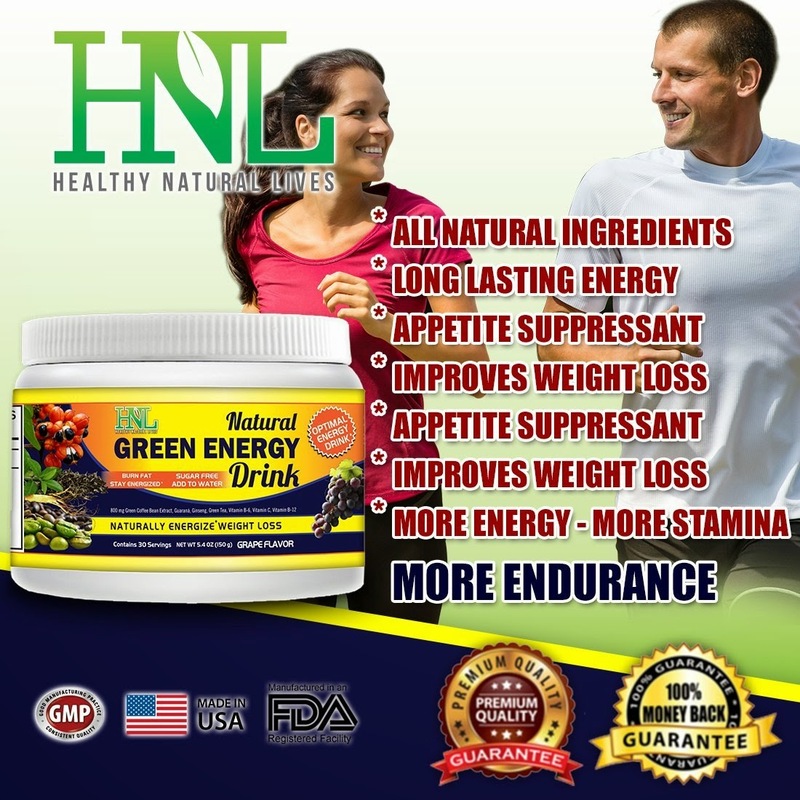 NO JITTERS - Powerful All Natural Energy Drink Mix does not give you the jitters. - NO MORE DRAGGING AND FEELING EXHAUSTED - Great Energy Booster + OPTIMAL FAT BURNER. Add a Spark to Your Workout - INCREASES STAMINA AND ENDURANCE - All Natural Blend of Guaraná + Green Tea Extract FOR OPTIMAL ENERGY + Green Coffee Bean Extract + Ginseng + Necessary Vitamins B6, C, B12 Energy Drink. INCREASE FOCUS - IMPROVES ALERTNESS - HEALTHY ENERGY DRINK - Get a Balanced QUICK BOOST OF ENERGY That lasts a Few Hours! 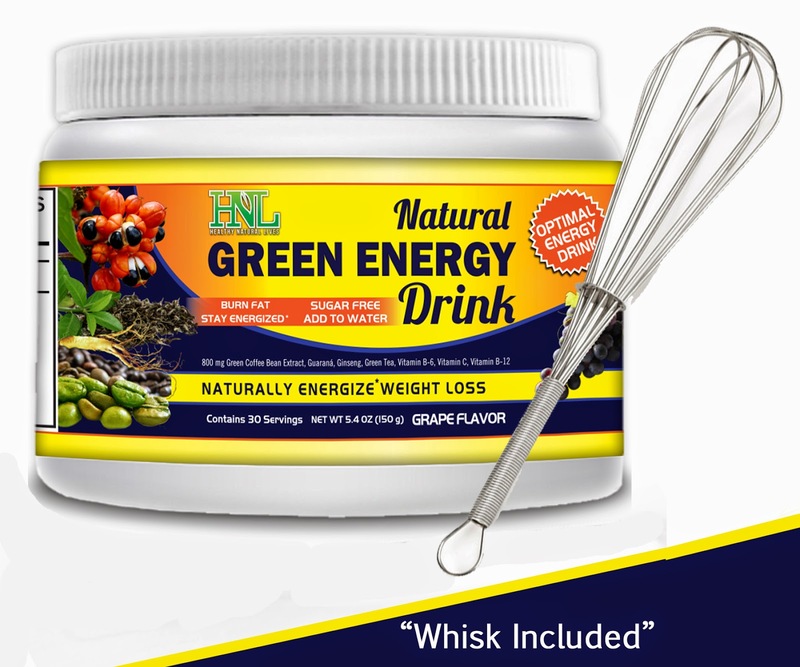 DELICIOUS GRAPE FLAVOR - Energy Drinks SUGAR FREE - Just add water - BEST Powdered Energy Drink - HELPS OPTIMIZE WEIGHT LOSS by helping burn fat and decreasing appetite! 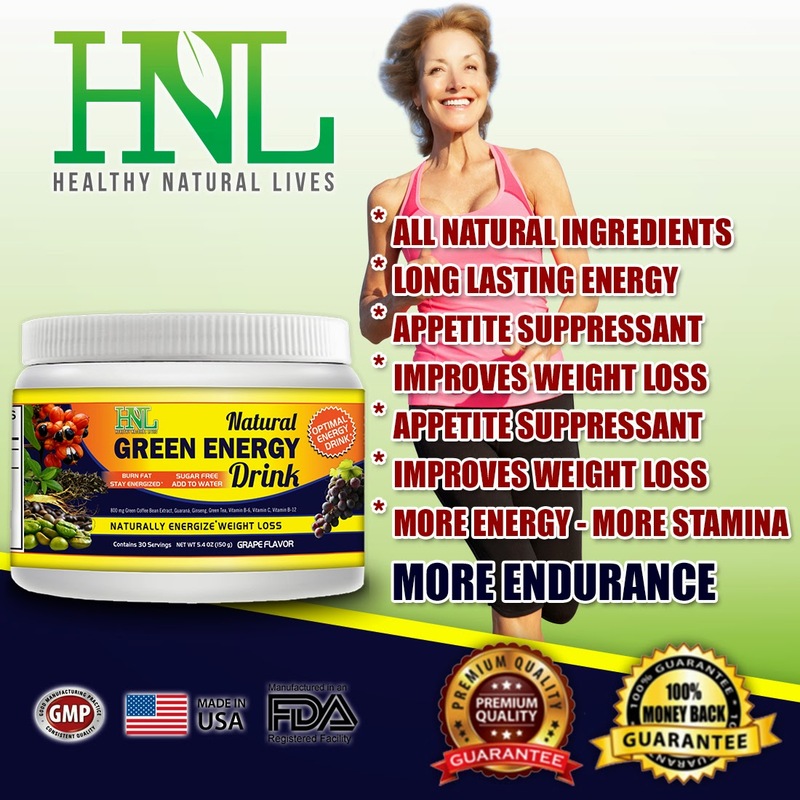 Provides Long Lasting Energy, Suppresses Appetite, Gives you More Stamina and Endurance. Improves Work Outs. 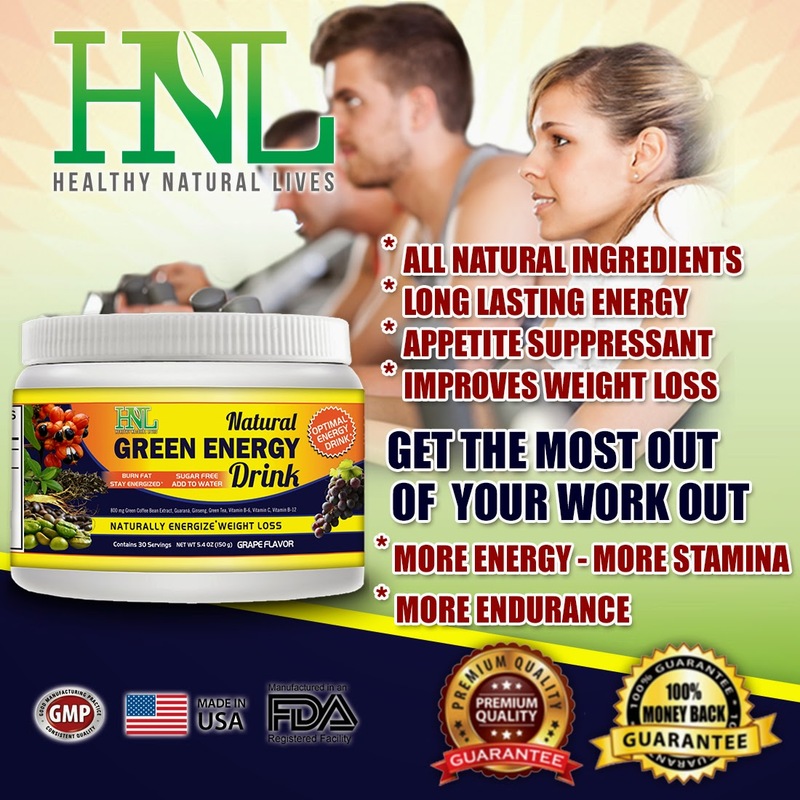 Made with all natural ingredients, Healthy Natural Lives (HNL) Pure Green Energy Drink is the best drink mix on the market that will energize your work outs because of the high energy that you get without the Jitters. NO Jitters! You will stay hydrated and will give you the energy that you need without the outrageous amount of sugar. Yup it's a Sugar FREE Energy Drink Booster. You will love the grape flavor even if you don't like grape. 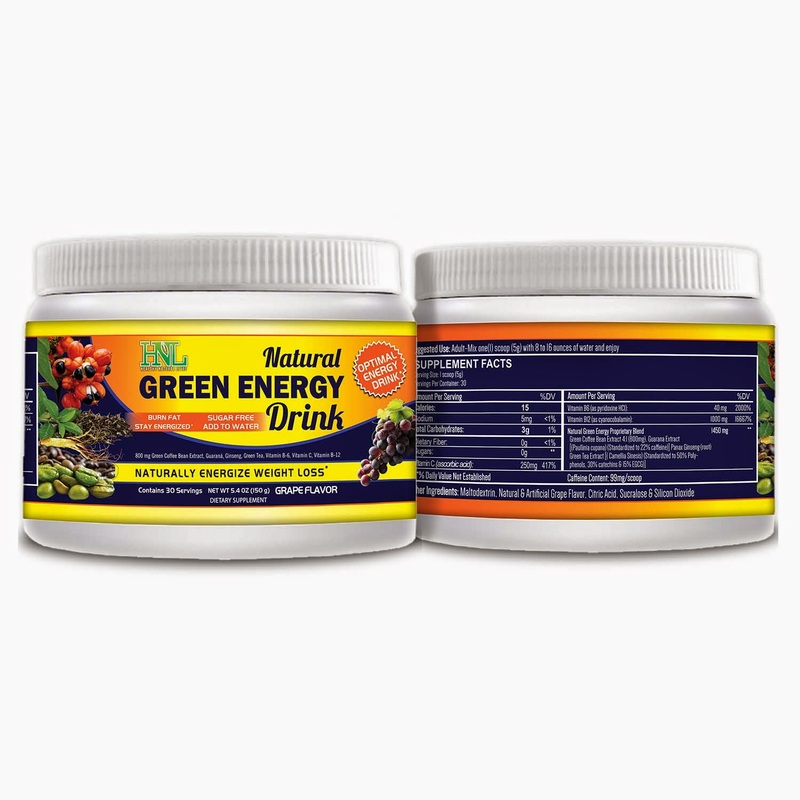 Each Serving of Healthy Natural Lives Sugar-Free Green Energy Drink Powder contains: Vitamin, C, Vitamin B6, Vitamin B12, Proprietary Blend of Guaraná Extract, Green Coffee Bean Extract, Green tea, Ginseng Root. You can further read the label in the image box on the left to get a full list of ingredients. Suggested Use - Mix 1 Scoop with 8 oz. to 12 ozs. of water. To enhance the drink you can even add some juice or add the energy powder to your favorite smoothie. But you can always just add water. Use the Whisk that we include for FREE, spin the whisk back and forth for easy mixing. You can drink this delicious energy drink 1 to 3 times per day. Of course you should always consult your physician before taking any supplement. You should not exceed taking this energy drink more then 3 times per day. This is a very concentrated drink and it will do the job for you without taking more then recommended. 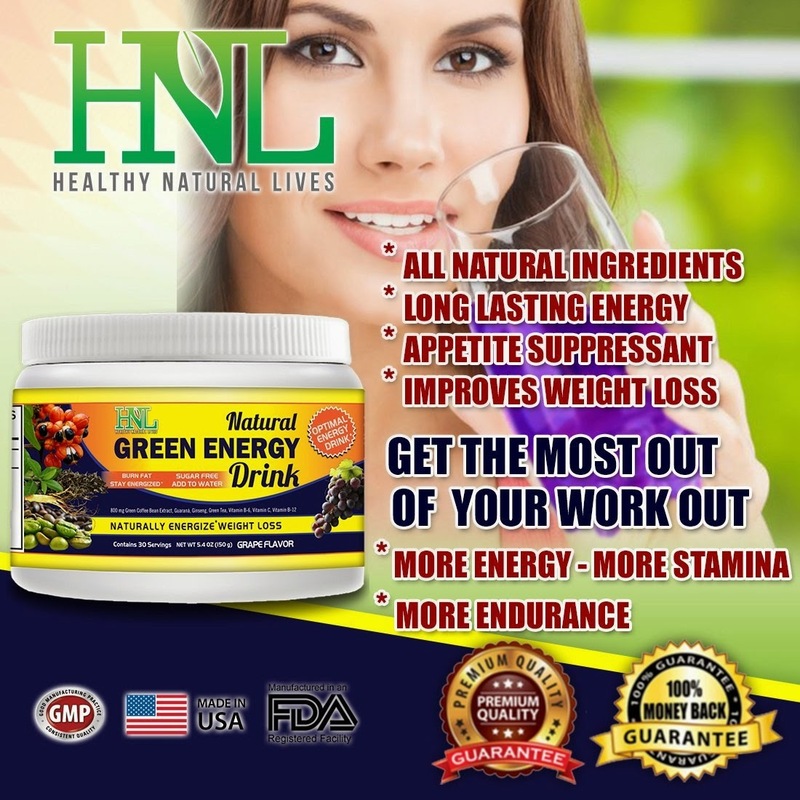 I was happy to try the HNL Natural Green Energy Drink Powder. 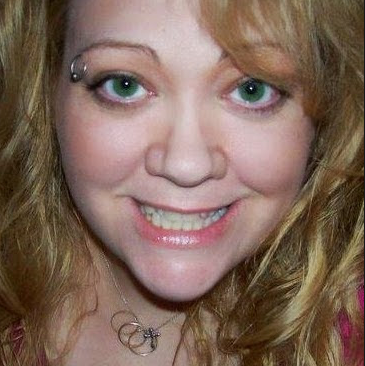 I was excited because I cannot take most energy drinks because I am a diabetic. I love that this one is sugar free and has so many vitamins. It does not make me feel jittery and I like that if you can adjust how many scoops from a half scoop to 2 scoops depending on how much of a boost of energy you want. I like that later in the day I can use less so I am not awake all night. It has nothing to do with the performance of the drink powder but I don't care for the grape flavor. 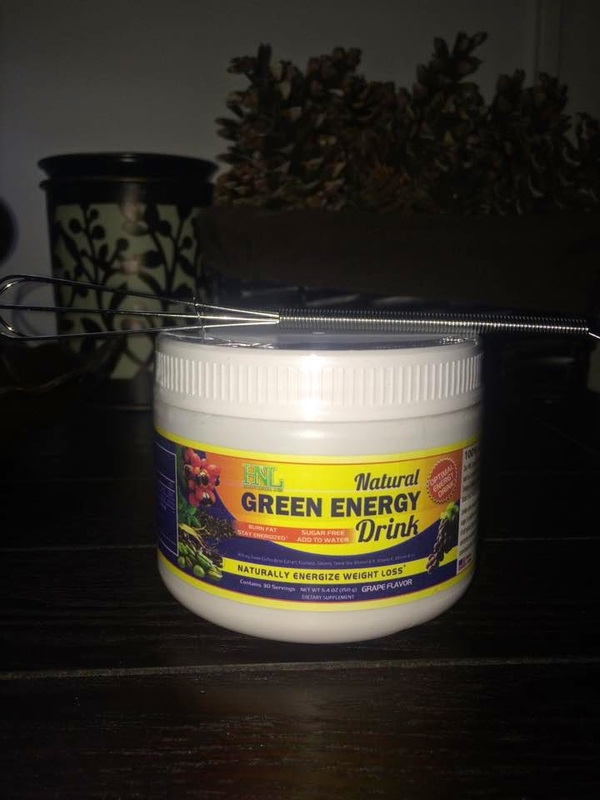 I recommend this natural green energy drink powder. After about a week of drinking the Green drink I began to feel a radical change in my body. But I felt like I was getting a bit sick from the stuff. Later I learned that its a sign of detoxification. The detox got so bad that I was pretty sick for about 3 days. However, on the Internet, there are many online stores that sell this tea at reasonable prices.